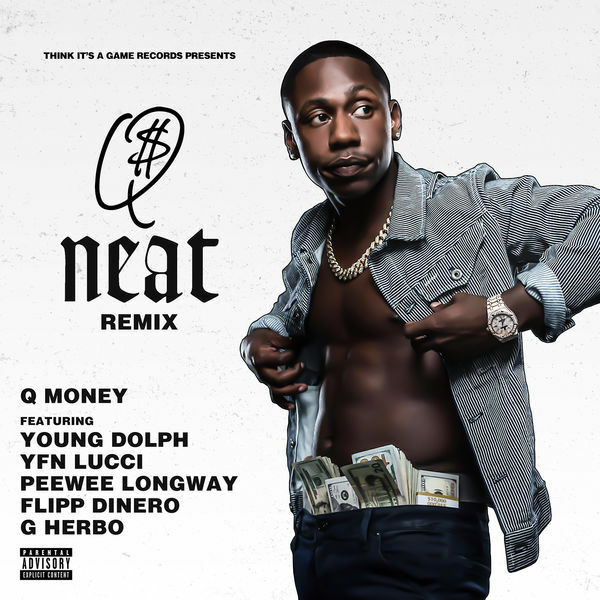 The remix of Q Money‘s single ‘Neat’ featuring Young Dolph, YFN Lucci, Peewee Longway, Flipp Dinero & G Herbo is now available for download and streaming across all platforms. Q originally popped off with his single ‘Work’ but ‘Neat’ is his biggest record to-date. This is a star studded remix that should give it some extra life in the new year. Download or stream the remix of ‘Neat’ below.